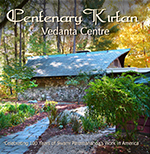 An evening of music at the Vedanta Centre in Cohasset, MA, celebrating 100 years of Swami Paramananda's work in America. 20 devotional songs sung by Ashrama musicians. 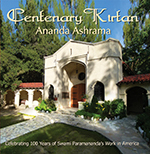 An evening of music at the Ananda Ashrama in La Crescenta, CA, celebrating 100 years of Swami Paramananda's work in America. 18 devotional songs sung by Ashrama musicians. 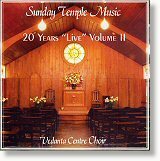 Sunday Temple Music - 20 Years "Live"
3 CD set with over 3 hours of music featuring ashrama songs of devotion. 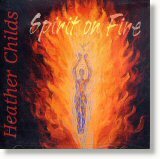 Recorded live at the Vedanta Centre in Cohasset. 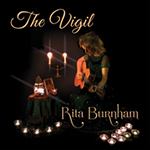 Songs include: Guide Us On Our Way, Dense Darkness, Jewel of My Heart, Great Mother Heart, Longing For You, Mother of Mercy, Soul's Secret Door, Steps of Your Dance, Mother I Pray, Look to Your Children, Let There Be Yearning, Lord of All Creation, Ogo Ramkrishna, The Song of the Sannyasin, Tiny Boat, Sudha Bhakti, Turn the Earth and many more. 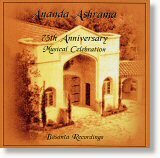 Twenty-seven devotional classics recorded live by ashrama musicians. 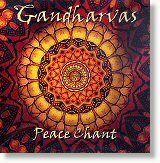 Songs include: Guru Sharanam, So Thou Art My Lord, Light of Eternity, Altar Flower, I Know Nothing, Kali Durge, Tell Me, O Swan, Jai Sarada Ma, Ramakrishna GaurAvatar, Om Namo Sri, Jaya Jagadembe, Shambo Shankara, Love All Love Everyone, and many more. Brother Balaram was a "Minstrel Devotee." 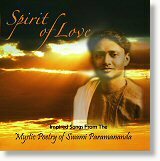 A disciple of Srimata Gayatri Devi, his voice and music embody the soul's yearning for God. 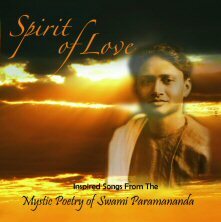 The 13 devotional songs include: Oh Lord I Adore You, I Am Dreaming, You Are The One, Keep Me Not Waiting, I Shall Be Free, Vivekananda Guru, Without Thy Presence, Ye Are Like My Limbs, Love All, Hold On Israel, Baby Jesus, Where Is My Devotion and A Wise Man Never Sings the Blues. 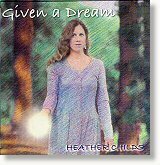 For your child's dreams and yours...traditional and original songs from America to the British Isles. 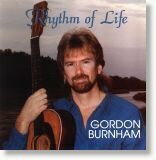 Songs include: Go to Sleep, Celtic Lullaby, All I Want to Do, Bewitcher of My Soul, Wynken, Blynken & Nod, Pirate Ships, Song of the Naturalist's Wife, Jura Harvesting Lilt, Chief Tenaya and the Yosemites, Vist Cradle Croon, All the Pretty Horses. 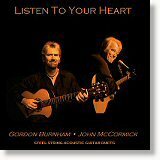 Steel string acoustic guitar duets. 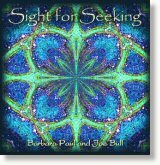 This recording came together during a period of powerful musical, personal and spiritual transition, helping us both to navigate through a tumultuous and exciting time in life's journey. 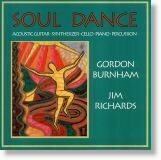 The music is introspective and serenely joyful, a musical meditative journey generating an atmosphere that lifts and releases the heart and soul. 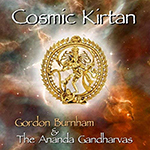 Original kirtans - Sanskrit chants with vocals, guitars, violin, tamboura, sitara, sitar, harp, bass, keyboards, duduk, pan flute and percussion. 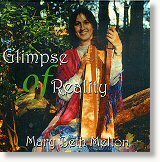 Eight rhythmic uptempo kirtans and three slow mellow rhythmic kirtans. Melodic devotional songs inspired by the ashramas. 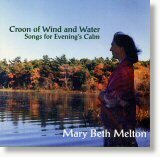 Songs include: Spirit of Dawn, So Near, Let's Go, Hari Lift the Veil, Flowers, Pure Joy, Water of Life, Misty Mountains, Orange Moon Rising, The Darkest Mother, Garland of Flowers and Mother's Dance. Please send payment with your order, including postage and handling charge: $2.25 for first item and .75 for each additional item. For orders within Massachusetts please add 6.25% sales tax. Make check or money order payable to: Vedanta Centre Publishers. Let us know if you would like to be on our mailing list. Please send payment with your order, including postage and handling charge: $2.25 for first item and .75 for each additional item. For orders within Massachusetts please add 6.25% sales tax. Make check or money order payable to: Vedanta Centre Publishers. Let us know if you would like to be on our mailing list.